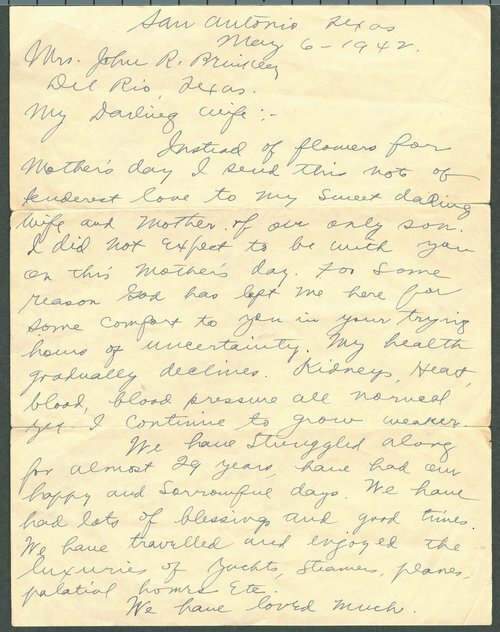 A letter written by Dr. John R. Brinkley to his wife Minnie Brinkley on Mother's Day. He asks her to remember the good times, care for their son, and never falter when faced with persecution and disappointment. This letter was written from San Antonio, Texas where he later died of heart failure on May 26, 1942.